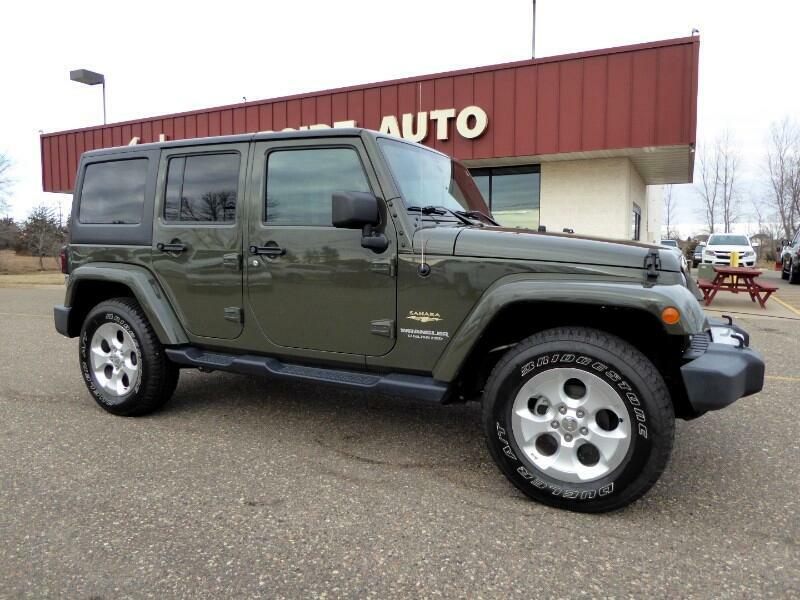 2015 Jeep Wrangler Unlimited Sahara Clean CARFAX. CARFAX One-Owner. 4x4, Class II Receiver Hitch, Fully Detailed, HEATED SEATS, Passed Dealer Inspection, Recent Oil Change, REMOTE START, TOW PACKAGE, Trailer Tow Group, Trailer Tow w/4-Pin Connector Wiring. Odometer is 16346 miles below market average! Priced below KBB Fair Purchase Price!